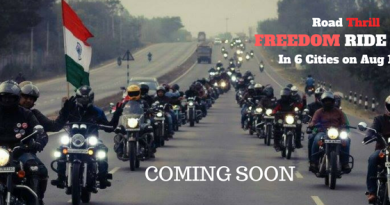 On the occasion of our 71st Independence Day, Road Thrill Hyderabad is riding to a village called Vettam. It is a small village located around 95 KMs from Aram Ghar, Hyderabad. We are riding there in the memory of Late Surbhit Kanth Dixit and we are organizing a Drawing, Art & Craft Competition among the students of ZHPS Vattem (Boys) School. This school was founded in 1949 and over 350 + students are studying here. Along with ZHPS, Vattem we have invited three more school in the same vicinity and they are likely to join to competition at the same ground to participate in the competition. Around 400+ Students will participate in the event. Theme of the competition is Road Safety and students will be encouraged to make drawing or art and craft on Road Safety. Our riders will help students to complete their drawings and the best three work will be awarded by MLA – Marri Jnardhan Reddy. The entire competition will be supervised and monitored under the guidance of Mr. Partha Saradi who is a Gold Medallist – Master of Fine Arts and has been honoured with several National Awards, State Awards and several other awards. The best art work will be displayed online and we will try to put it on online exhibition. Please see the below mentioned event details for your perusal and kindly plan your schedule accordingly. Each rider (both Rider and Pillion) is contributing Rs. 200 for the ride and this include all collaterals, Stickers, Badges, Light tea and snacks, Reward for students. 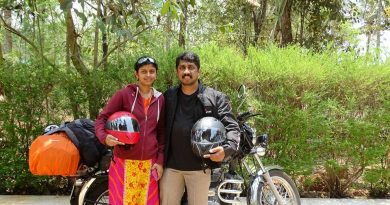 It is requested to each rider to pay the amount through Paytm to Mr. Abhishek Samuel @ 8099156288. (else you can give cash at assembly point). 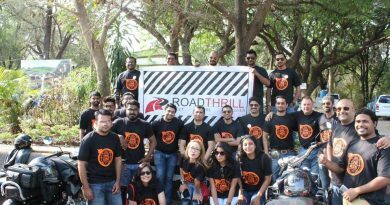 All club moderators are requested to collect the amount of their club and handover the Road Thrill Hyderabad Crew member at the assembly point. PLEASE REACH THE ASSEMBLY POINT SHARP AT 6:15 AM. RIDE WILL START SHARP AT 6:45 AM. Please carry some cash for your own good. Please be ON or before time at the starting points. Most Imp. – Leave all things aside and RIDE with PRIDE on our Independence Day!! Make sure your motorcycle is in good condition and you are carrying required spares and documents. GET ON THE BIKE AND RIDE TOGETHER!